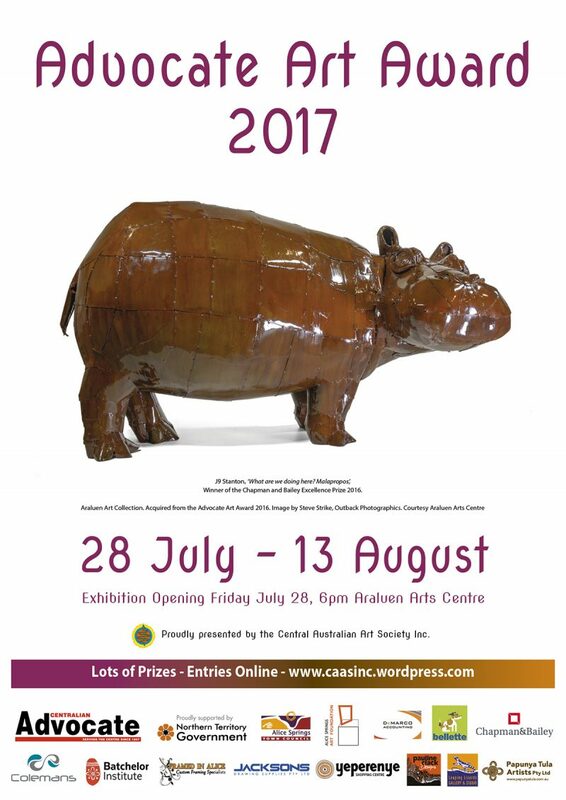 Remember to all join us at Araluen Arts Centre for this year’s Advocate Art Award Opening from 6PM this Friday 27th July. Artists and family welcome to join the committee afterwards for a celebratory dinner. Details on the night. Please advise (phone/text) Francoise on 0438 139 949 if you wish to join us for dinner. You may decide on the night, but it would assist the restaurant to have an idea of numbers for catering. Thanks. HURRY! Entries close Friday 13th July! 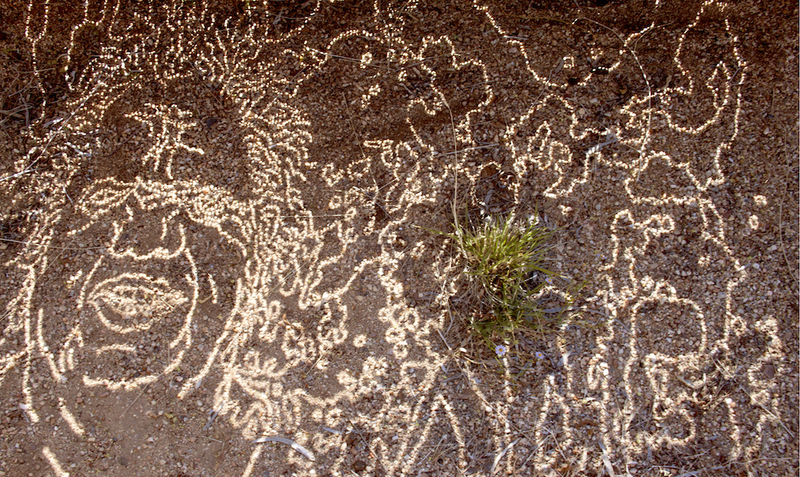 OPEN for Art Society members and non members, resident in Central Australia. Art works to be delivered to Araluen Gallery 1 on Monday 23rd or Tues. 24th July. Opening Night 6pm Friday 27th July. Full entry rules at the entry link above. Can you believe how quickly it’s come around again? 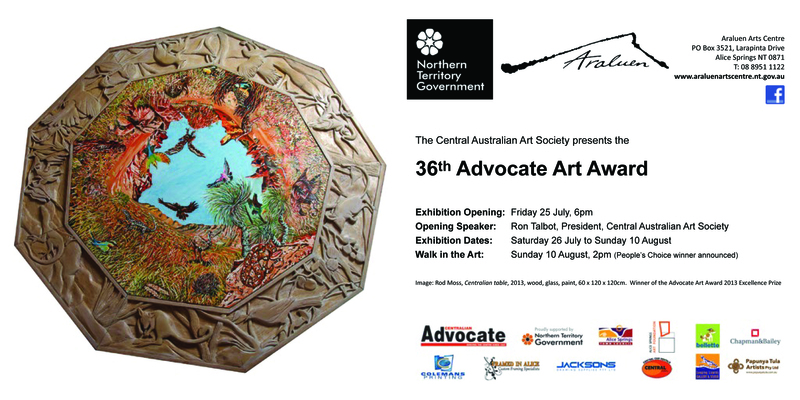 … We are calling for entries for the 2016 Advocate Art Award held again at Araluen Art Centre. 2015 Advocate Art Award is OPEN! The exhibition opened last Friday. Another great success we believe. The winner of The Excellence Prize for 2015 is Dan Murphy with his Photographic print on canvas. Many thanks to Chapman & Bailey for sponsoring the $2500 prize. Don’t forget to visit and cast your vote for the People’s Choice Award. One lucky voter will win the ‘Special Voter’s Prize’ painting displayed as you enter the gallery. It is kindly donated by Papaya Tula Artists. You are invited to ‘The Walk in the Art’ on Sunday 9th August, 2-3PM when the People’s Choice is announced and the ‘Special Voter’s Prize’ is drawn. To see much, much more from the exhibition you need to see our Facebook page. Details are here on the right: “Like us on Facebook”.